Take a look at this fantastic contemporary new beachfront development in Mojacar Playa in an enviable location near to all you could possibly need. 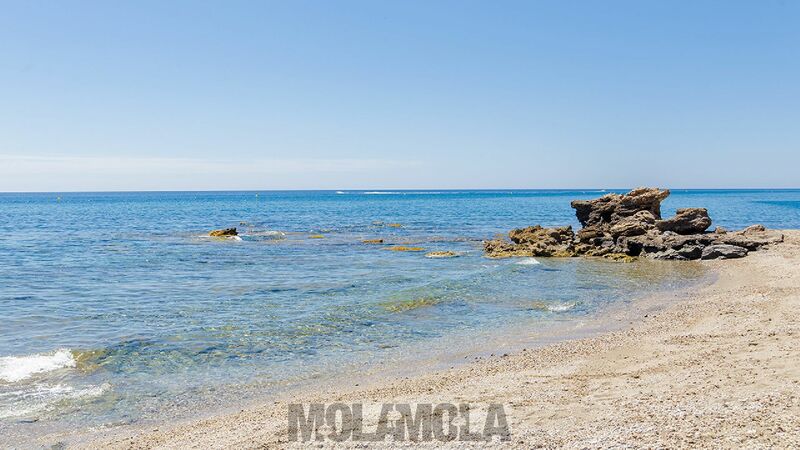 The beautiful Cantal beach is a highlight in the 18km long stretch of beaches of Mojacar Playa. 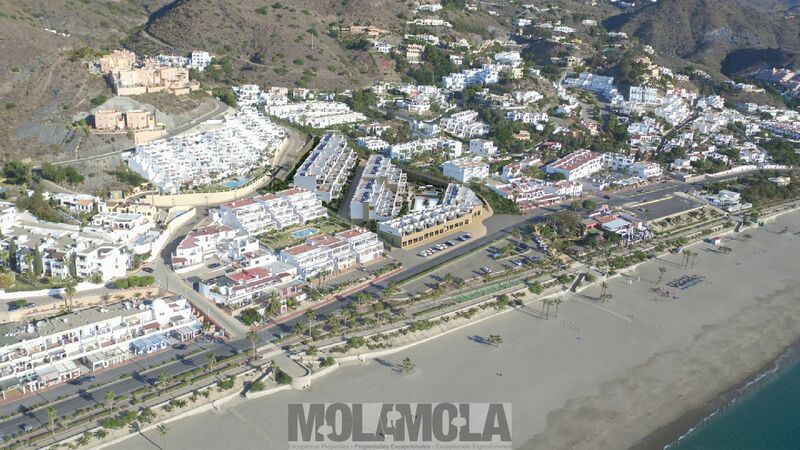 A new development in Mojacar, let alone a prime new beachfront development like this, doesn’t come to the market too often. 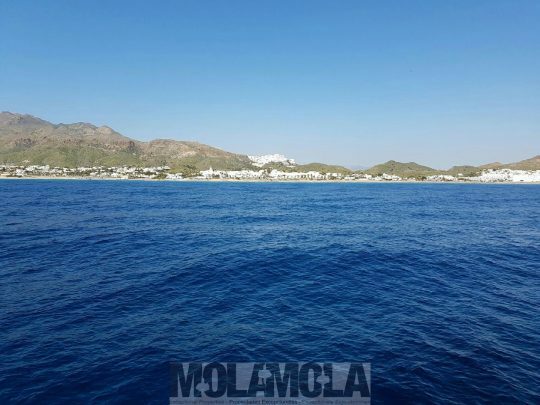 Restaurants, bars and nightlife are nearby, as are several golf courses. 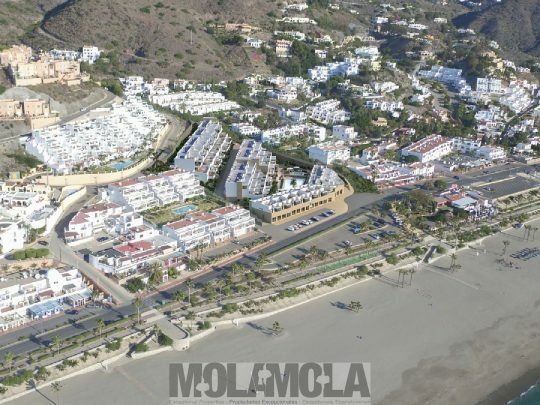 There’s a lot to do here from cycling, hiking, water sports activities, golf and shopping and as main visitor attractions the old village of Mojacar on the hilltop, the natural park Cabo de Gata and its incredible beaches and for the young ones there is the waterpark in Vera Playa, 15 minutes from the development. Foodies will love this area, as there is a great variety of good privately owned restaurants. 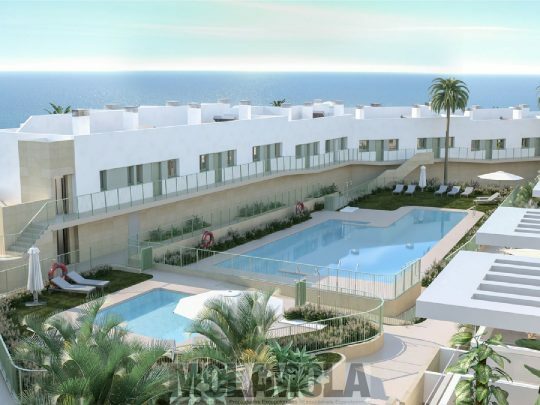 This contemporary and sustainable new development in Mojacar Playa is right on the beachfront of the Paseo del Mediterráneo and comprises 87 two bedroom apartments, 4 one bedroom apartments and 5 retail spaces divided over three low-rise buildings. 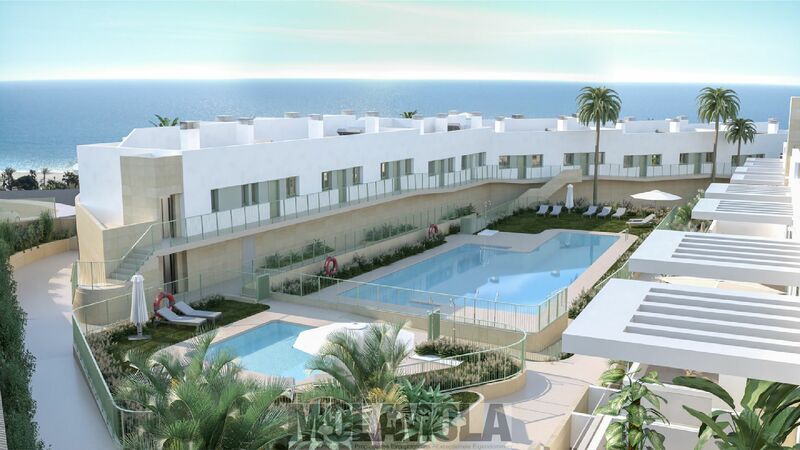 The complex is built on a sloping terrain so most apartments enjoy beautiful sea views. 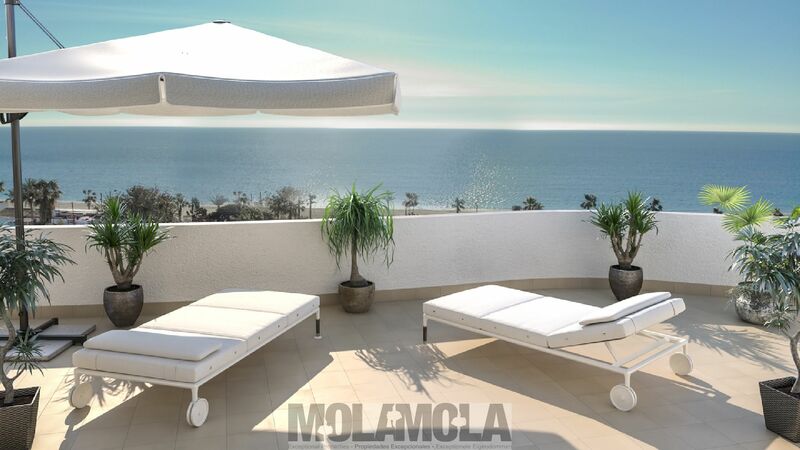 Onsite, there is a lovely pool area set among Mediterranean gardens. 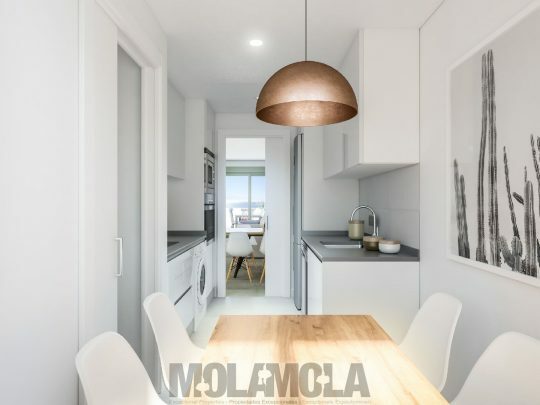 The sunny apartments are finished in stylish neutral tones and have high-quality fixtures and fittings throughout. 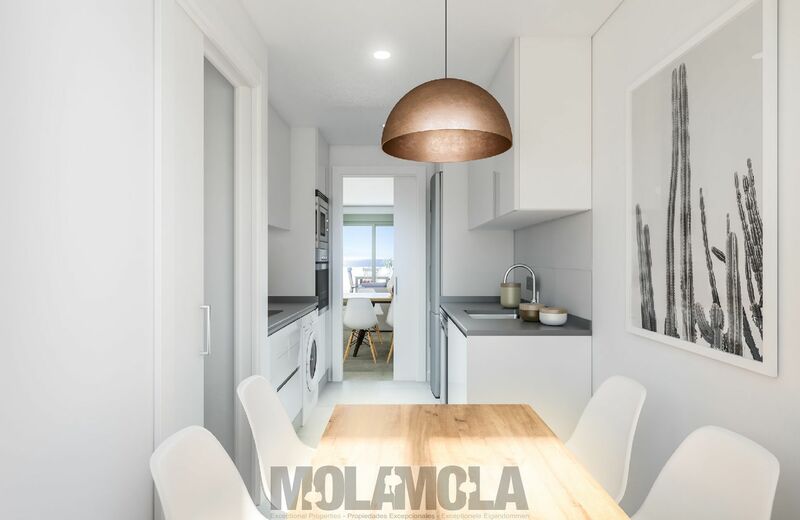 The open plan living area features a fully fitted kitchen whilst the living and dining area have large sliding doors that open out on the terrace offering stunning sea views. 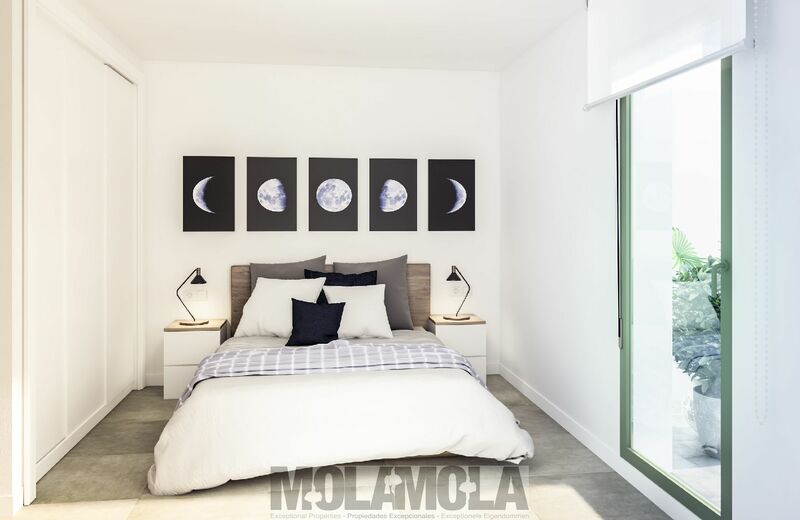 The bedrooms have fitted wardrobes and the master an ensuite bathroom. 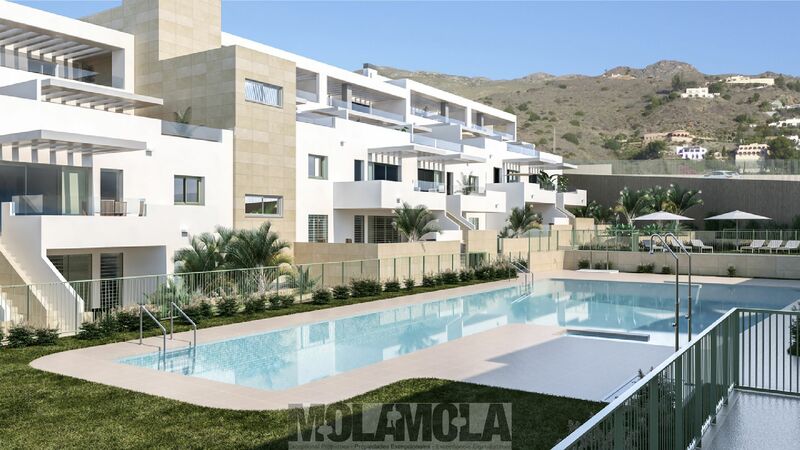 The apartments have large terraces, some have a solarium and the ground floor apartments have a private garden. 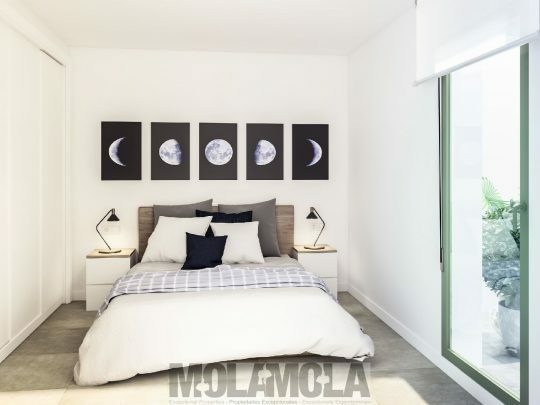 The apartments have air conditioned installed, a storage room and a parking space in the communal garage. 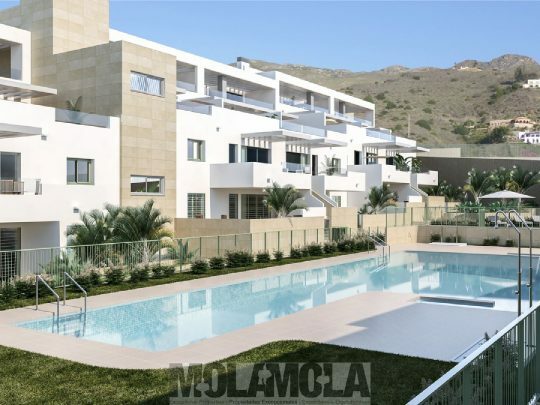 Designed for maximum privacy and comfort, the residential complex is a gated community to ensure residents can enjoy the large shared facilities, which include pools, leisure areas, solarium and gardens. 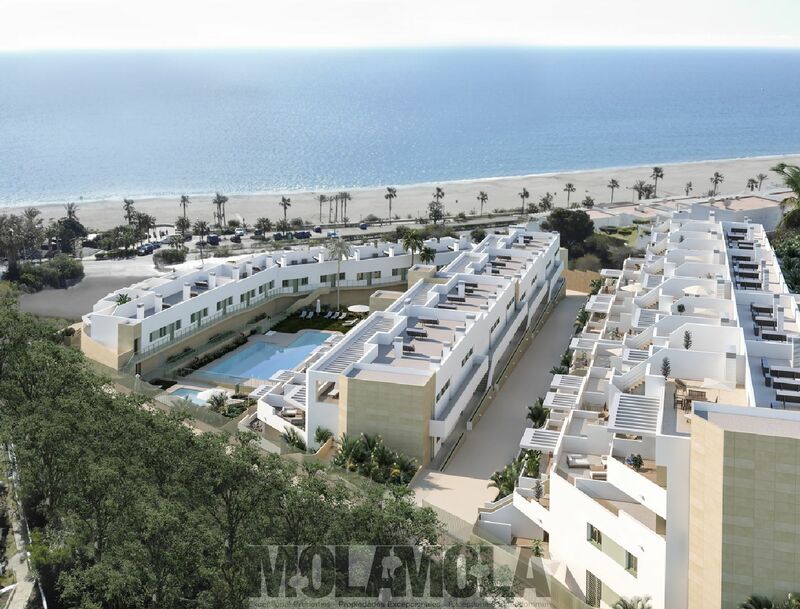 The promotor of this fantastic contemporary new beachfront development in Mojacar Playa is a listed company and offers apartments for all budgets that are a superb investment opportunity. 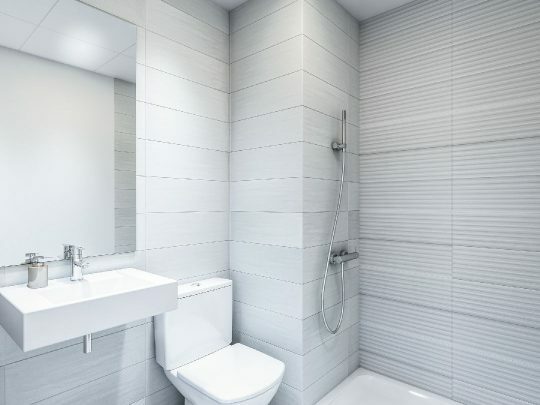 From day 1 of the construction, the works of the sustainable construction will be inspected on a regular basis for a proper BREEAM® certification. 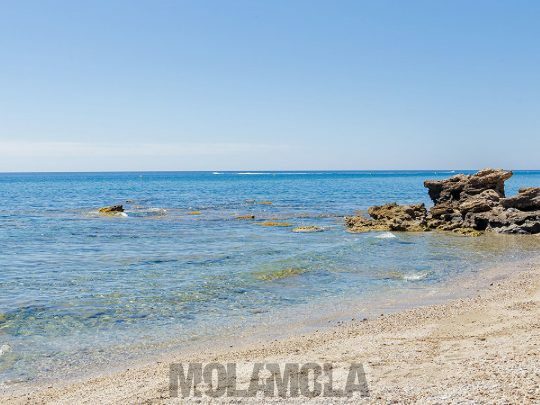 The building license is in place and the works start this Autumn. The complex will be completed in Spring 2021. 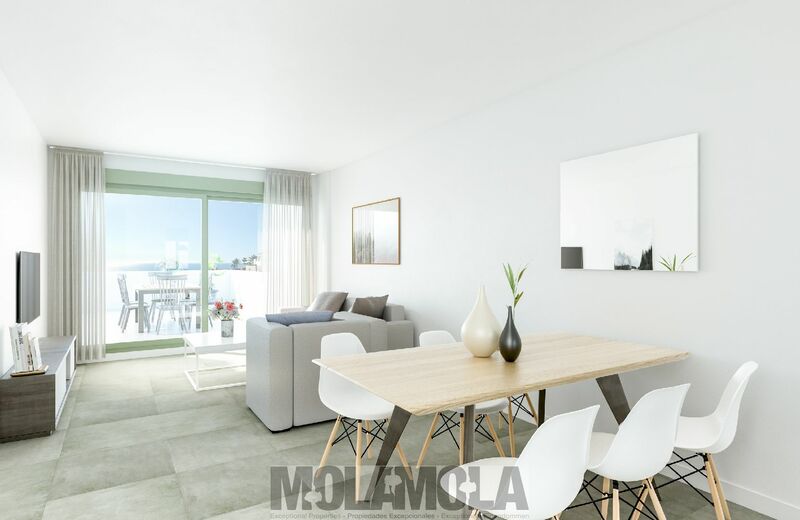 During this launch phase, there are a limited number of off plan apartments for sale with an easy payment schedule. 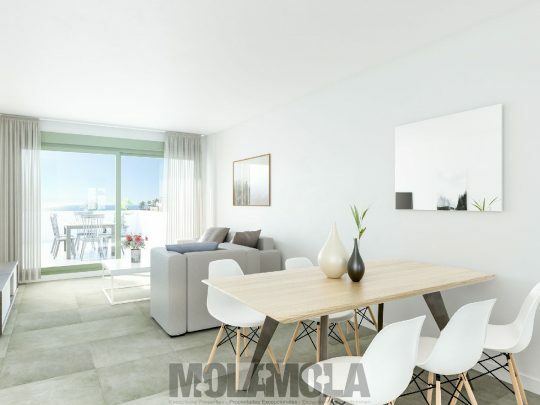 You will pay 15% this year, 15% next year and 70% of the selling price upon completion in 2021. 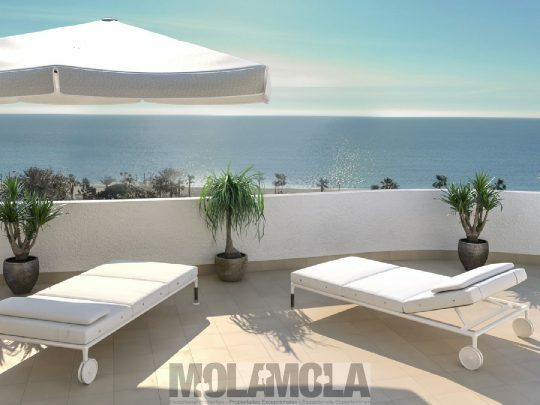 All payments are backed by a bank guarantee. 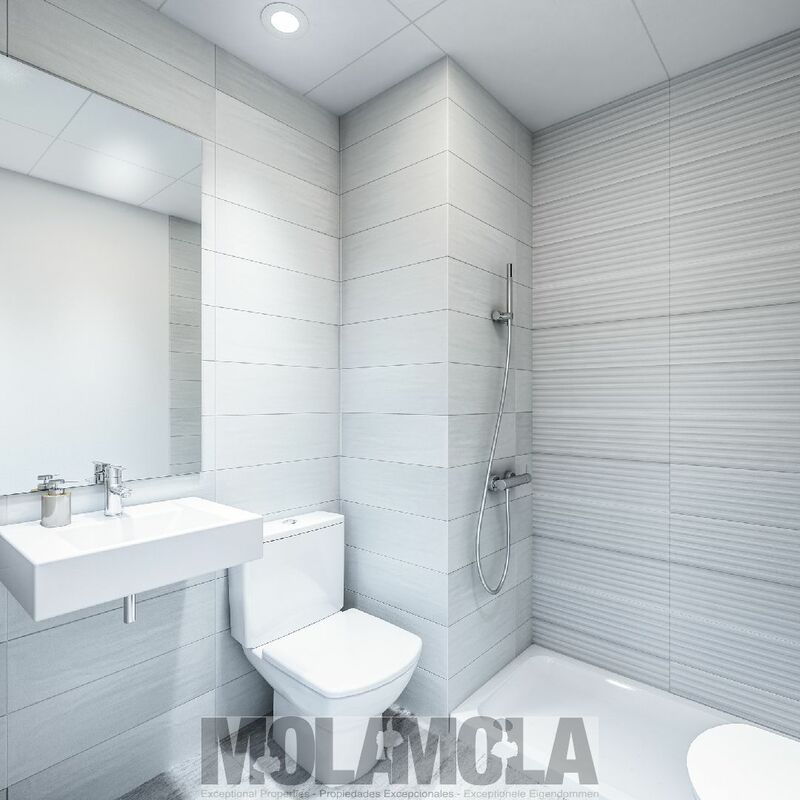 For more information, a presentation folder, floor-plans, building specifications and availability: contact us today!